Back on Monday night I noticed that the full moon had rainbow-like halo around it. It was absolutely beautiful and I stared at it out of my window for ages. Afterwards, I was annoyed with myself for not photographing it. 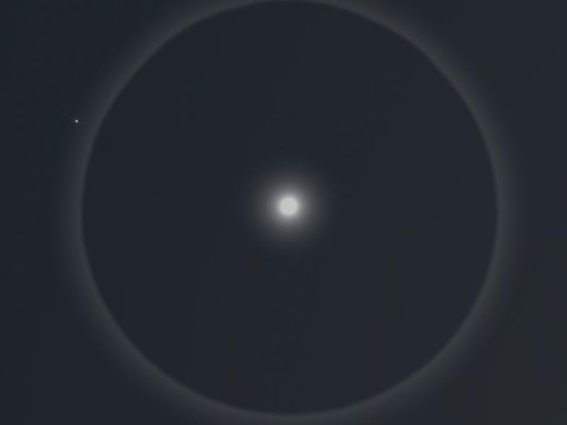 But then, as a lovely Samhain gift, I was sent the above photo of the moon with a ring around it. It was taken by James C Wallace. Thank you for your kind comments about my photographic work. BTW, that's Jupiter on the left, just in case anyone is curious.